As of early 2018, the major renovation is complete, with new restrooms, electrical service, water and drainage, roof, central heating, commercial kitchen, new barn doors for the main hall, new audio-video system, and more. 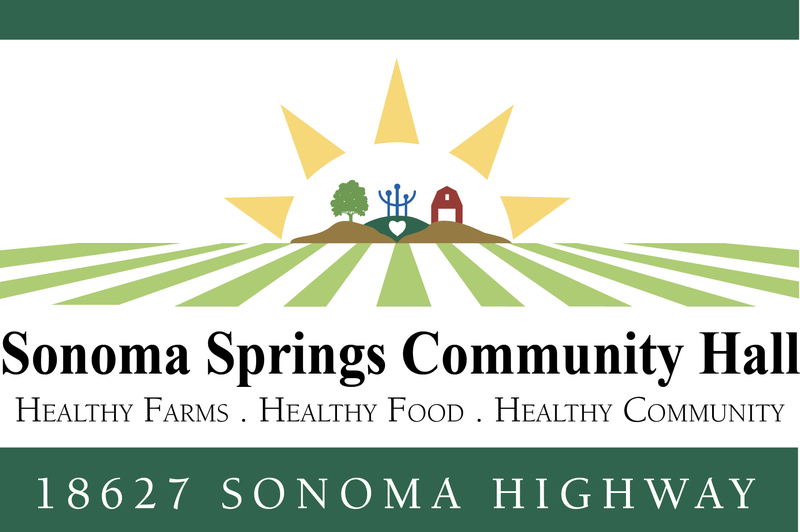 The Sonoma Springs Community Hall is a 145 year old agricultural organization, originally established by farmers to give themselves political clout. It has evolved, and changed, and in the 21st century, in Sonoma Valley, it is a community service organization, still concern with farming and food, but broadening its reach into a variety of local concerns. A new, certified kitchen has allowed us to improve our usefulness as a community resource. A Heartfelt THANK YOU goes out to all those who have contributed to this renovation, be it members and supporters coming in to literally demolish whole sections of the Hall, repainting walls and floors, installing cabinets, appliances, and so much more. Also the contractors who put in the extra effort, and often large donations to get this project done. In addition, this project would not have happened without the financial support of Mac and Leslie Macquown, the Sonoma Valley Rotary, Jim Callahan, and many other members and board members. Renovation on an older building and property is never done. We look forward to new projects to improve the Springs Hall so that it can continue to be of service to the community.